Another Monster of the Month has been released by AAW Games today! 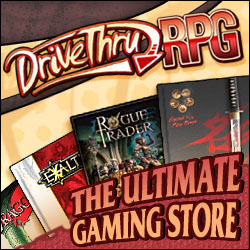 Available for both 5th Edition and Pathfinder RPG. "In its natural form, a Kishi has a snarling and salivating hyena’s face on the back of its head and a bestial bipedal body. Kishi are only summoned when mere murder is not sufficient revenge, and the complete destruction of an enemy is desired, a relished task for the narcisitic Kishi. The Kishi are masters of lying with the truth, and all facts twist and bend to suit their chosen narrative. In this way, the devils can patiently undermine cherished beliefs and self-esteem. While this may incidentally claims souls for the denizens of Hell, these social predators simply take great pleasure in transforming strong-willed people into depressed, dependent husks. Kishi carefully embed themselves into a target’s life as a friend or lover. From there they wear away at everything good within the target: destroying confidence, altering memories, and poisoning all other relationships. The victim grows increasingly reliant on the devil, and certain they deserve the suffering inflicted. It can be incredibly difficult to recover from a Kishi’s physical and emotional abuse, and the devils seldom willingly allow prey an opportunity to rebuild a shattered psyche." 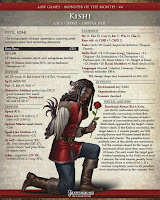 Monster of the Month brings to life a new monster from ancient folklore every single month for both Dungeons & Dragons 5th Edition and the Pathfinder Roleplaying Game. Created using actual folklore gathered by Justin Andrew Mason then expertly illustrated by AAW Games' lead artist Mates Laurentiu (Romania), the monsters are then crafted by Stephen Rowe (Pathfinder RPG) and Chris Harris (5th Edition). Leonid Ponomarev is also converting both versions over for use in the Fantasy Grounds virtual tabletop. 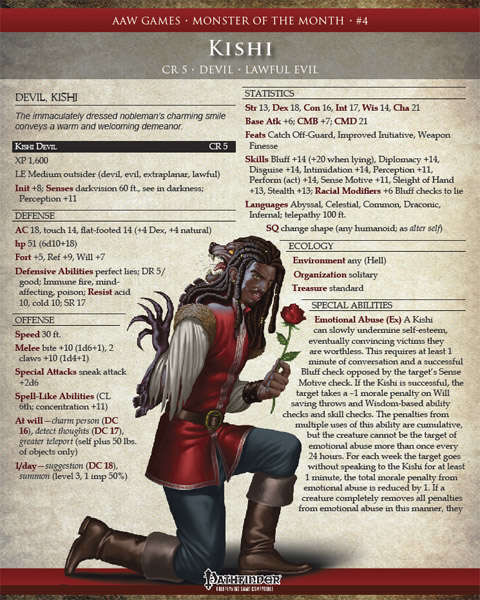 Get the Monster of the Month #4: Varpulis (from African Mythology) available for purchase via Adventureaweek.com (PFRPG/5E), DriveThruRPG (PFRPG/5E), RPGNow (PFRPG/5E), Paizo (PFRPG). Welcome to the blog of Justin Andrew Mason. 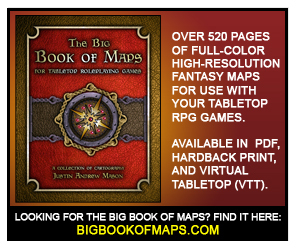 Professional Game Designer, ENnie Award-winning Author, Graphic Designer, and Map Master Award-winning Cartographer. Check out the content I designed available in the Steam Store. 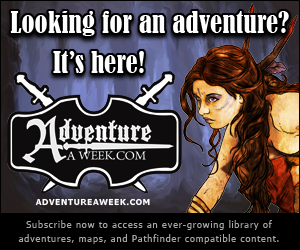 Founding Member of the Adventurers Guild for Tabletop Roleplaying of Hopkinsville, Kentucky. Need to send me a payment? Endzeitgeist reviewed Maw of the Dark Tide published by AAW Games. Justin Andrew Mason’s “Maw of the Dark Tide” requires a bit of templating work, but oh boy is it worth it! 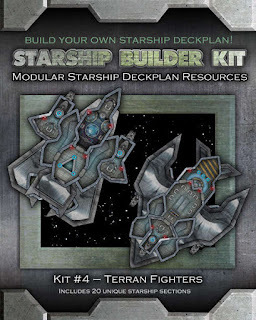 The floating fortress is unique, the artifacts are cool and the super-boss is BRUTAL when built according to specifications... 5 stars + seal of approval..
You can read this full article and other product reviews by clicking here. Endzeitgeist reviewed Wrath of the Jötunn published by AAW Games. This module at once manages to evoke themes of old-school masterpieces, the sense of myth, the sense of plausibility and the new-school focus on a captivating narrative, with tons of read-aloud text, diverse challenges... My final verdict will clock in at 5 stars + seal of approval and this is furthermore a candidate for my Top Ten of 2017. Endzeitgeist reviewed Winter's Roar - Vikmordere Bestiary published by AAW Games. Justin Andrew Mason and developer Stephen Rowe are both names that I associate with quality; in this instance, however, they delivered something that exceeded my expectations. My final verdict will clock in at 5 stars + seal of approval and this is furthermore a candidate for my Top Ten of 2016. Get this! Endzeitgeist reviewed The Vikmordere published by AAW Games. This is a really good, system-neutral first look at the Vikmordere, one that does not SPOIL any of the modules featuring them, while giving players a good first grasp of these peoples. My final verdict will clock in at 5 stars + seal of approval. Endzeitgeist reviewed Raider’s Haul – Vikmordere Magic Item Compendium published by AAW Games. I love this book and while it may not be 100% perfect, it is very close to that... at least for me. My final verdict will hence clock in at 5 stars + seal of approval. Endzeitgeist reviewed Madam Margareth's Magic Potion published by Playground Adventures. Fun, educational and suitable for children of all ages (and even open-minded adults who enjoy this kind of thing), this little educational adventure is absolutely awesome – 5 stars + seal of approval. We need more of them! Seriously, so much more! " Endzeitgeist reviewed The White Wyrm Awakens published by AAW Games. Justin Andrew Mason’s fifth mini-dungeon for ITWG is friggin’ AWESOME. High-concepts, awesome benefit, evocative culture and dungeon – superb. 5 stars + seal of approval, given sans any hesitation." Endzeitgeist reviewed Assassin's Breach published by AAW Games. 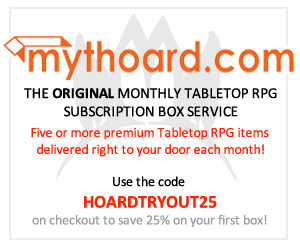 "...this has the potential to be pure, unadulterated awesomeness and elicit multiple WTF-reactions from your players. My final verdict will hence clock in at 5 stars and I’ll add my seal of approval as well... now to plot how to integrate the inn in my next campaign..."
Endzeitgeist reviewed Summoner's Remorse published by AAW Games. "Justin Andrew Mason pushes the boundaries of the series in this module, providing a rather atmospheric, awesome mini-dungeon for your perusal – from cool adversaries to nasty atmosphere, solid challenges and a sense of urgency, this one delivers more than a file of its length conceivably has a right to – excellent job, well worth 5 stars + seal of approval." Endzeitgeist reviewed Stowaway on the Singing Sea published by AAW Games. If you have good roleplayers in your group, this’ll be pure gold... My final verdict will hence clock in at 5 stars. Endzeitgeist reviewed The Unreachable Terror published by AAW Games. Justin Andrew Mason’s “The Unreachable Terror” pushes the envelope of the format in a great way. Concisely written and flavorful, this is well worth a final verdict of 5 stars. clicking here. Endzeitgeist reviewed Mysteries of the Endless Maze published by AAW Games. Justin Andrew Mason’s Mysteries of the Endless Maze is an amazing little puzzle-dungeon... All in all, a well-crafted mini-dungeon worth of a final verdict of 5 stars. Endzeitgeist reviewed The Burning Tree of Coilltean Grove published by AAW Games. Justin Andrew Mason’s mini-dungeon here is simply awesome – beyond the obvious roleplaying potential... This is a great use of the format and well worth a final verdict of 5 stars.."
Endzeitgeist reviewed The Lapis Maiden of Serena Hortum published by AAW Games. "Justin Andrew Mason’s Mini-Dungeon is compelling – either as straight-forward hack and slay or as an infiltration, this one offers a nice story, a cool backdrop, diverse challenges and even a bit of social interaction, this is a great example of what can be done with a straight-forward, smart application of the limiting mini-dungeon-formula. My final verdict will clock in at 5 stars." Endzeitgeist reviewed Ways of the Old published by AAW Games. "Justin Andrew Mason’s fourth mini-dungeon does it right: We have a great, flavorful build-up; evocative read-aloud text…and non-combat means to resolve the danger. Traps and even a bit of investigation set-up (optional) are provided – this is great and makes the formula work in spite of its brevity. My final verdict 5 stars." 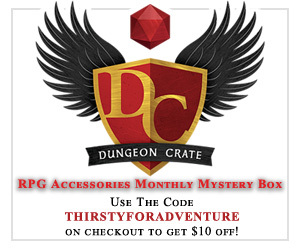 Be sure to check out Endzeitgeist's Patreon for Roleplaying Game Reviews. 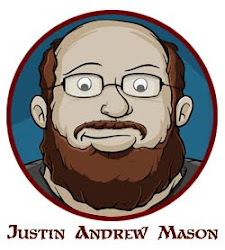 A very special thanks to Brian Patterson of d20monkey.com for the nifty avatar above which depicts my ugly mug. 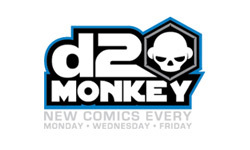 You should totally check out the d20monkey web comic as well as Brian's ongoing Patreon. 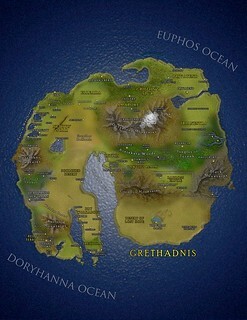 I served on the senior staff of the AetherCon Online RPG Convention as the convention's web designer and app developer for AetherCons III, IV, V, VI, and VII. AetherCon VII will be happening November 9-11, 2018. I hope to see you there! 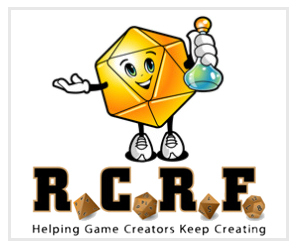 The Roleplaying Game Creators Relief Fund (RCRF) is a charitable organization founded to provide financial assistance to tabletop roleplaying game creators suffering hardship due to medical emergencies, natural disasters, and other catastrophic situations. Each week Adventureaweek.com brings the fantastic artwork of Jacob Blackmon by publishing a new issue of Tales from the Tabletop on the Dungeons & Dragons Memes page on Faceboook (which has a circulation of over 150,000). Created by Jacob Blackmon, Jonathan G. Nelson, and Justin Andrew Mason, the weekly comic allows viewers to submit their own ideas for the comic captions for a chance to win prizes. Four of the Kickstarter campaigns I designed have been picked by the Kickstarter staff and granted "Projects We Love" status. These campaigns have raised over a combined $1,309,908.00 USD worth of revenue for various game publishers. Paths to Adventure. Copyright © 2014-2018 Justin Andrew Mason. PO Box 1552, Hopkinsville, KY 42241. Simple theme. Powered by Blogger.